Each of us has a unique genetic makeup, which is the ‘code’ that makes you, well, you. Included in those differences, may be certain defects, variations or mutations, not to worry – everyone has them! Recently, in functional medicine and increasingly in mainstream medicine, a tremendous amount of research has surfaced regarding the MTHFR gene mutation. This mutation, which I see frequently in my functional medicine practice, has been linked to a decreased ability to detoxify, as well as over 60 chronic health conditions including Hashimoto’s and hypothyroidism, blood clots, infertility, cardiovascular disease, Alzheimer’s, depression, birth defects, and certain cancers. The good news is that, while we used to think that our genes were static and there was nothing we could do about them, we now know that isn’t true! An emerging science called epigenetics shows us that genes can be both turned on and turned off. 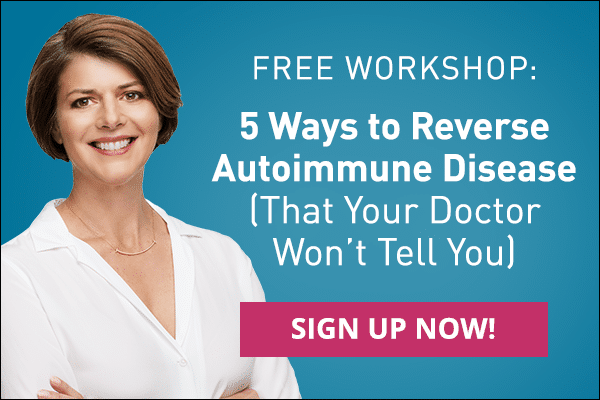 In fact, studies using identical twins with autoimmunity have shown that the risk of getting an autoimmune disease is only 25% dependent on genetics and 75% dependent on environmental factors. This is incredible news! It means that your genes are not your destiny. There are simple, actionable steps you can take to help overcome this gene mutation, minimize its effects, and aiding in preventing the myriad of conditions it has been linked to. 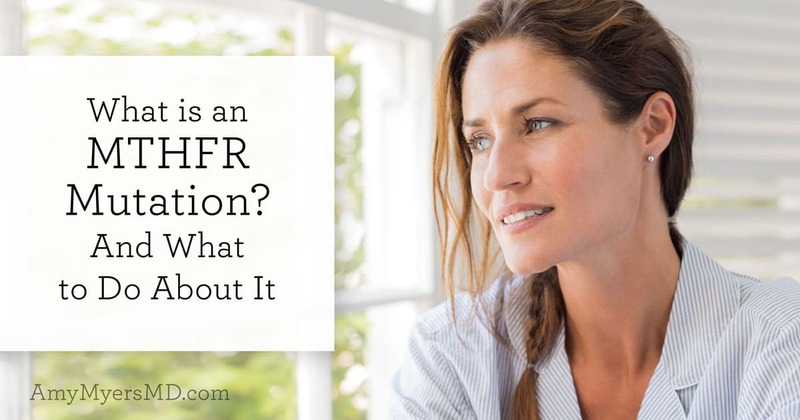 I believe there are three steps to identifying and overcoming MTHFR mutations: The first step is to educate yourself on what the MTHFR gene mutation is and its potential impact on your health. We’ll be covering that in this article, and then in part two we’ll dig into step two: how to get tested and step three: understanding the steps you can take to help to prevent the health conditions associated with MTHFR mutations. Let’s get started! Most importantly, methionine produces glutathione, your body’s most potent detoxifier. Research has shown that those with autoimmunity and cancer have lower levels of glutathione compared to people without those conditions. Research has also found that glutathione is a much more potent anti-cancer agent than ever thought before. The MTHFR gene (not to be confused with the MTHFR enzyme) is one of 20,000 genes in the human body. It can be thought of as ‘master instruction sheet’ for producing the MTHFR enzyme. However, genetic mutations or variations often occur at the MTHFR gene. These are referred to as SNPs (pronounced ‘snips’), which is short for single nucleotide polymorphisms. Each SNP represents one difference in a nucleotide, (a “building block” of DNA). Some SNPs have no effect on your health. They serve as biological markers, appearing about once in every 300 nucleotides, and help us locate genes associated with disease. However, sometimes they play a more significant role by directly affecting a gene’s function. The MTHFR SNP is common, approximately 50% of the US population carries at least one SNP. The two MTHFR genes that have been studied the most are C677T and A1298C (these labels indicate the mutation’s appearance and location on the gene). At each of these genes you can have none (wild type), one (heterozygous) or two (homozygous) mutations. 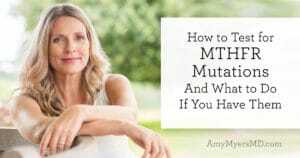 The more mutations you have, the less the MTHFR enzyme is able to do its job effectively, the more your ability to methylate is decreased, and the greater the potential impact on your health. I, myself, am homozygous (two mutations) at C677T so I have done a lot of research on this topic and experimented on myself with ways to work around these mutations. I have seen, in my patients and in myself, that one of the best and most important ways to support your health if you have one or more MTHFR mutations is to supplement daily with Methylation Support™. This supplement contains the three co-factors needed for methylation, in their pre-methylated or active forms. After working with thousands of patients in my clinic I have come to see a lot of trends as to root causes of autoimmunity, thyroid dysfunction and other chronic illnesses. 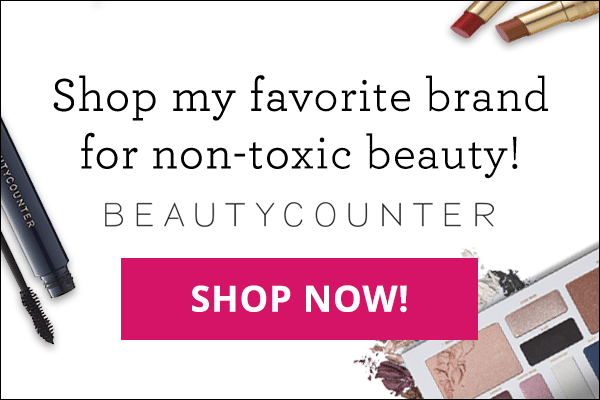 I have noticed that because one of the main roles of the methylation process is to help you to detoxify heavy metals such as lead and mercury and when you have mutations at MTHFR you cannot do that effectively, that heavy metals are often a main root cause for those with autoimmunity and other chronic conditions. 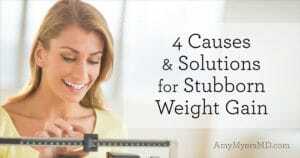 For that reason, tame the toxins is the third pillar of The Myers Way® Autoimmune Solution Program. 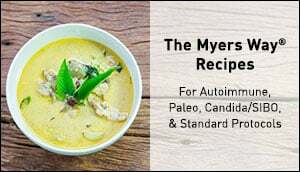 I often see autoimmune patients with high mercury levels, particularly those with Hashimoto’s, Scleroderma and Rheumatoid Arthritis, and these patients almost always have at least one MTHFR mutation. In Hashimoto’s patients, or anyone with an underactive thyroid, the issue is compounded because low thyroid levels already negatively impact your ability to methylate. 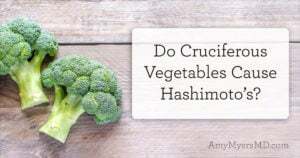 If you have any autoimmune condition, especially Hashimoto’s, Graves’, or other thyroid dysfunction diagnosis it’s particularly important to understand your MTHFR status, and if you do have one or more mutations, I’d recommend you get tested for heavy metals (I write about which test I prefer in both my books) and work with a functional medicine physician to safely remove or chelate these metals from your system. After discovering my two MTHFR mutations, I was able to connect the dots in my health history between eating a lot of tuna fish growing up (high in mercury), shot day (which included thimerosal as a preservative) every Wednesday for three months while I was a Peace Corps Volunteer, traveling through China (high coal burning area) for six weeks in college, and then living in Texas (high concentration of coal burning plants) and my eventual Graves’ diagnosis. Let’s say you eat a piece of tuna fish (which is high in mercury) and it contains ten parts of mercury. 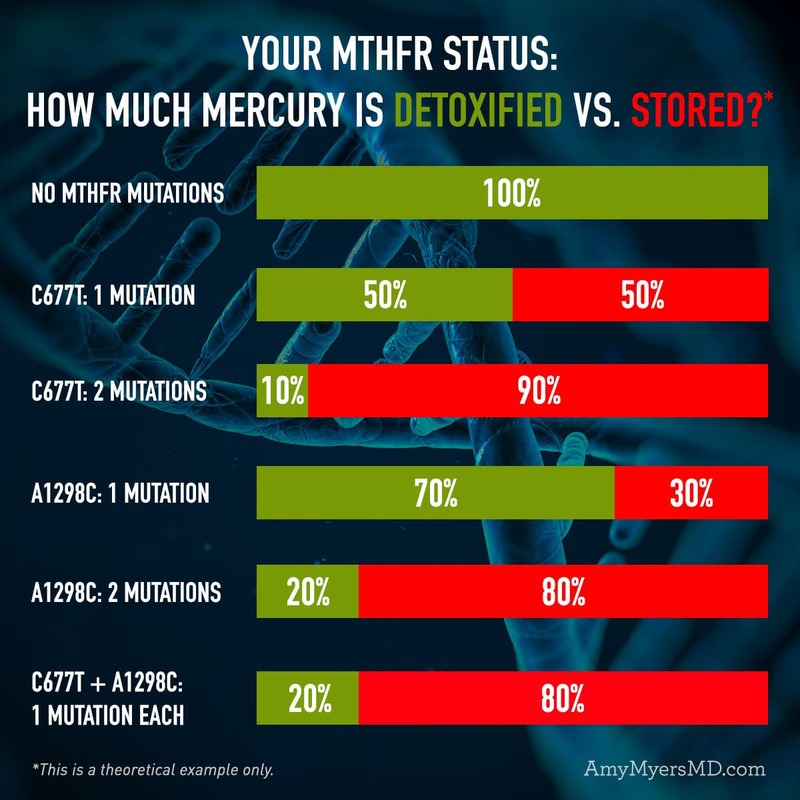 If you have no mutations (wild type) at MTHFR, you will excrete all ten parts of mercury at 100%, assuming your detox pathways are working optimally. Over the last decade in my clinic, I have seen less than ten patients who are wild type or have no mutations at MTHFR (likely because these people can detoxify well and therefore don’t tend to develop thyroid dysfunction or autoimmunity and end up in my clinic). Most patients that I see have at least one, if not two mutations at MTHFR. Only once have I see a patient with three mutations at MTHFR – one at C677T and two at A1298C. Now remember the above example is something I made up to help you in this article and my patients in my clinic to easily understand the impact of having none, one, or two MTHFR gene mutations. When I tell this story it illustrates how quickly mercury can build up and it makes it easy for patients to understand, and more importantly to take action to make changes in their diet and lifestyle to help overcome and work around these mutations. Remember, although your genetic code cannot be rewritten, you do have a tremendous amount of control as to how your genes are expressed. And your diet and lifestyle play a HUGE role in how your genes affect your health. It’s why I take a Methylation Support™ supplement daily and will continue to do so for the rest of my life. And it’s why I recommend that my patients with MTHFR mutations do so as well – because by supporting your methylation and detox pathways you can overcome the hurdles of MTHFR mutations! In my second article in this series, I cover how to get tested for MTHFR mutations, and steps you can take to help prevent any negative health impacts. 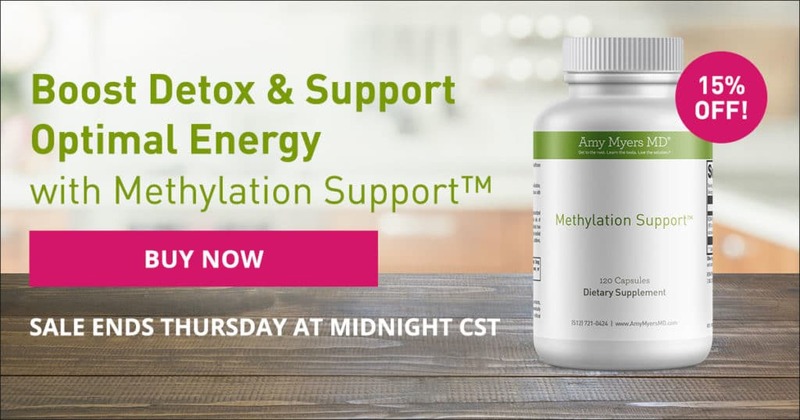 Save 15% on Methylation Support™ Now Through Thursday, August 16th at Midnight CST! Are you one of the 60% of US adults who has one or more genetic mutations that impair your body’s critical methylation process? I’ll give you a hint… virtually every single patient battling chronic health challenges has at least one of these mutations (I myself have 2)! That’s why I designed Methylation Support™, the perfect blend of the nutrients your body needs to engage in optimal methylation. I custom selected these nutrients in their most bioavailable forms in order to support your body’s natural methylation and detoxification efforts. And, now through Thursday, August 16th at midnight CST, you can SAVE 15% on Methylation Support™ and start feeling your best again! Click here now to SAVE 15% on your bottle of Methylation Support™ now and feel the difference!